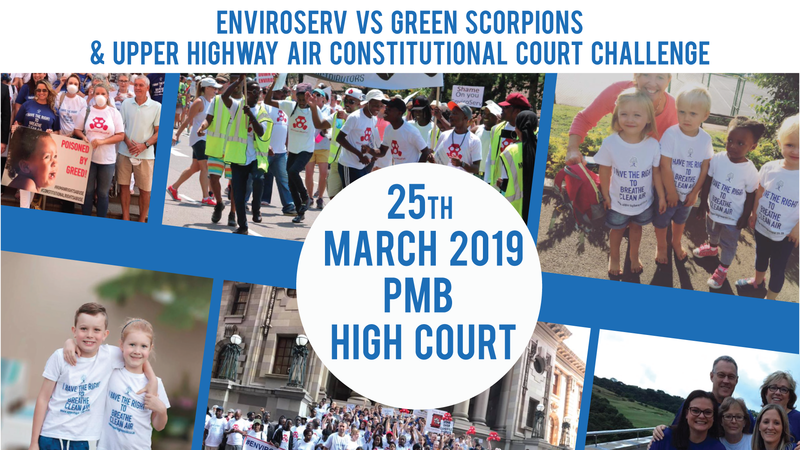 Transnet were contacted for comment after EnviroServ Waste Management alleged in their November Complaints analysis report, that the odours experienced in the Upper Highway area were possibly emanating from the Transnet fuel pipeline. 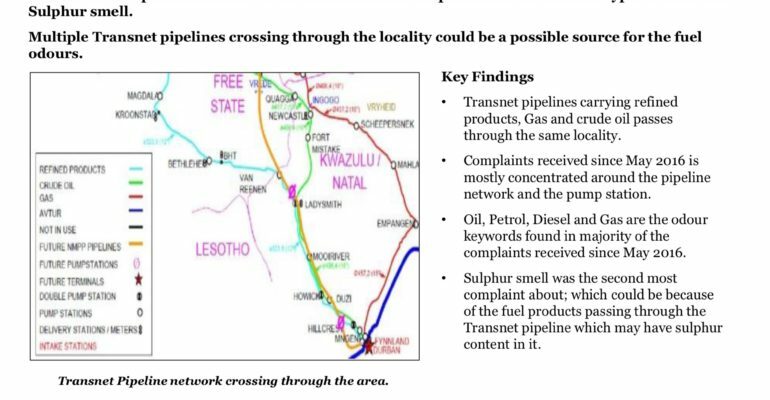 Saret Knoetze of Transnet issued the following statement, “We were working with the Department of Health and they have confirmed that Transnet Pipeline does not in any way contribute to any of the odours in the area. Our pipeline is buried underground and is a closed system – there are no odours/vapour that could “escape” – not even when it goes through the pump-station. We have had meetings with EnviroServ and we have shown them our operations but they have not amended their opinion. Our 3800 km of pipelines have been in operation for many years, traversing many properties and we have not had complaints from any other areas. Our last two spill incidents, the one in Hillcrest and the one in Sparrow lane refers; we did air monitoring at both sites and at no stage were there any “red flags”.